Robert Orben (1927–) American humorist. 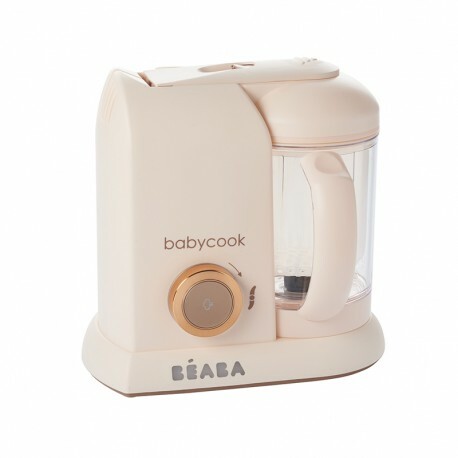 French design – unique, elegant, attractive, and, in the case of BEABA products – baby friendly. From cutlery to cups to compote flasks to night lights to high chairs to potties to blenders – each product is thoughtfully and appealingly designed to be functional and fun to use. The products, described below, make solid food training efficient and enjoyable. Like Mr. Orben, I’ve tasted baby food, too. The products of the Beaba system, though, I hasten to say, are not bad at all. I recently used the pureed pumpkin made in Babycook Macaron in a recipe for pumpkin mac and cheese. It was delicious, Mr. Orben! Give me a note on the blog — I’ll share the recipe. I’ve used several Beaba products for the last few months as my baby boy transitioned to solid food. 2nd age training fork and spoon. Simple to look at. Easy to clean. Graspable. Designed for babies age one and up. The soft silicone covering gives small hands a grasping boost and is kind on tender young gums. Thas soft silicone also reduces lsiding and slipping. Oh, of course, I find them on the floor at times, but far less often than I would with conventional infant cutlery. For meals on-the-go, the set comes with a sleek carry case that neatly fits the fork and spoon. It’s “evolutive” because it adapts to the growing needs of a baby becoming an infant becoming a toddler. 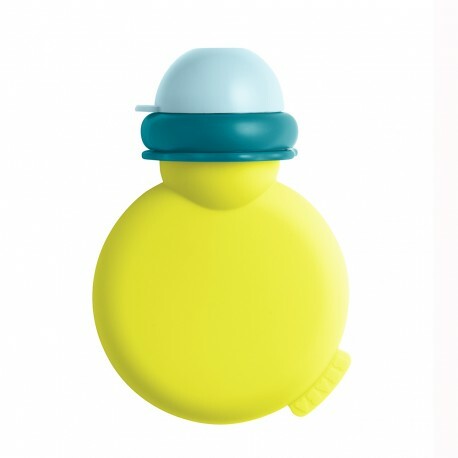 Snapping on the “Evoluclip anti-leak closing system” turns the soft-nippled baby bottle into a sippy cup. The evoluclip promises to be leak proof. Mr. C and I haven’t “evolved” to the sippy yet, but my early experiments in anti-leakage are encouraging, indeed. Two large handles provide a good grip for hands just learning how to manipulate the neon green or pink cup for the first times. As baby grows either top can be snapped off and, voila, a simple cup with giant handles! If I don’t lose it first, the cup may eventually accommodate the lad’s first latte. Then a Tiger beer. Dry martini with a twist of lemon? OK, I’ve gone too far. I WILL STOP THIS NONSENSE! (And have a nice red wine in my own stemmed receptacle. Who comes up with these things? What a great idea. French designers, of course! Again silicone is the magic ingredient in this product. Soft and supple. Break-proof. Ergonomically-shaped for easy gripping by children on their own. 100% leak proof, and easy to carry around. It looks like a piece of equipment on the International Space Station. I like the ecological angle. Instead of the plethora of disposable containers offered on grocery shelves, the Compote Flask is easily cleaned and refilled with yogurt, pureed fruit, or, you guessed it, compotes. Hmmm… time for brunch. I’ll go along with that. The machine makes food preparation easy and, important to me, ecological. With a compote flask to serve and store small quantities and some storage containers to keep processed meals indefinitely (one of the Babycook Macaron’s functions, remember, is defrosting), I can make up meals for days or weeks ahead without throwing out so many small glass or plastic retail containers. Given that, and the compact size of the unit itself, my kitchen is much more spatially efficient. I don’t have a very large kitchen. Hey, every little bit helps. I love this little machine. Mr. C loves what it produces. I can’t imagine babycare life without it. I have an adult friend who is a little bit fetish-y when it comes to torches. Maglites, headlamps, mini camping lanterns, he’s got them all. I’m not letting his anywhere near the Pixie Torch. It’s irresistible even to us normal people. With two functions, it can be part of Mr. C’s nighttime kit for years to come. Now, it’s a night light that diffusing a soft orange glow throughout the room. With a flip of the large switch, it becomes a more traditional torch handy for a mom finding her way to the bathroom after a middle-of-the-night child check. Once kid a re a bit older, they will have a ball playing with the torch. It’s tough and, like all Beaba products, tactilely pleasing. The handle is a large hook providing handy hanging. The blurb on the net says that the light can accompany the child “… until they are 12 years old.” Or, in my friend’s case, decades beyond. 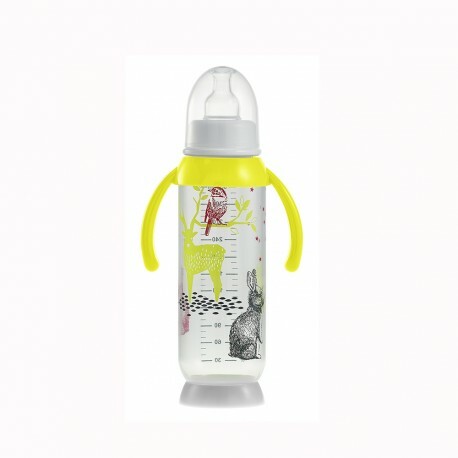 The 330ml bottle has a tasteful, non cartoonish drawing of a rabbit, a deer, and a phoebe bird. Very tasteful. Appealing especially to the nascent outdoorsy type. This size comes with a 2nd age silicone teat (3 months and older). Wide and half-moon shaped, the base is large for stability and is easily cleaned. Like the Evolutive Training Cup,. it sports large ear-like handles. Similar bottles are available in 120ml and 240ml sizes. 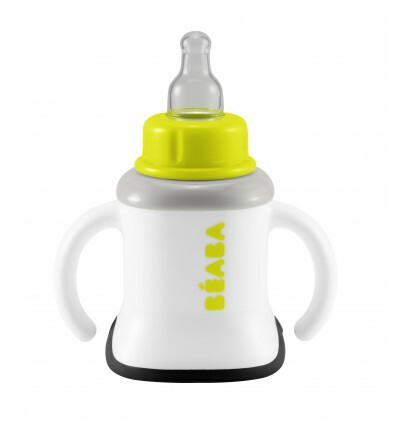 BPA free, this product is a handsome accompaniment to baby’s dining kit. Why didn’t someone, some company, think of this before. Maybe someone has, but I haven’t seen it. The chair adjust to six levels to accommodate most household situations – e.g. dining table, kitchen island, breakfast bar. “…allowing the child to participate in all moments of family life,” says the Beaba blurb. The tray is easily removable so the chair and kid can be pushed right up to the dining surface. Makes sense, eh? 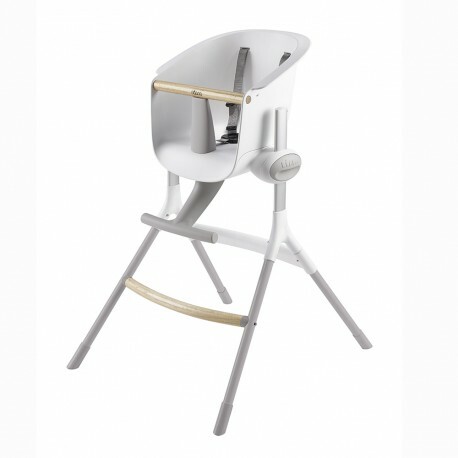 The versatility also caters to adults of various heights sitting or standing by the baby’s side. No tools are needed to adjust, just a push on the two large side buttons – think Ikea efficiency. Of course, I am super technically proficient, but even klutzes of my acquaintance could handle this task. Love the design! The molded plastic seat is white. Legs, straps and and footrest are soft grey. Wooden safety bar and leg strut complete the Scandinavian image. Did I say Scandinavian? Sorry, FRENCH. FRENCH. Designed in France! (But, shhh… it looks Norse to this Singaporean). In addition to height adjustments, the chair folds up pretty flat when not in use. But leave it out. Your friends will be impressed by your interior decoration prowess in choosing this sleek item! So far, I’ve talked mostly about food and feeding-related Beaba items. What goes into the baby, though, has gotta come out again, right? Right. That’s how the digestive system works. Call me Captain Obvious! To sleekly and conveniently accommodate this aspect of our earthly lives, the Ergonomic Potty is a clean, good looking answer. Sitting solidly on its anti-slip base and shaped to be comfortable for girls and boys, the Ergonomic Potty matches the design mantra of the other Beaba products. With its built-in handle and removable pan, it’s easy to cart around and clean. What I shall be telling with a sigh are tales of the early years of my boy and the landmarks along the way of his development. As far as the evolution of his nourishment is concerned. 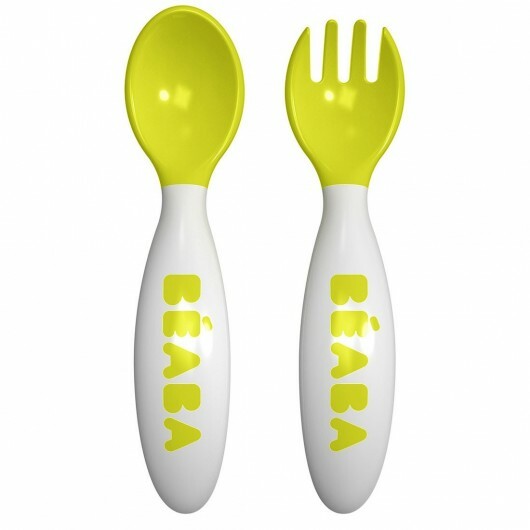 The Beaba products will have a special place in my memory. 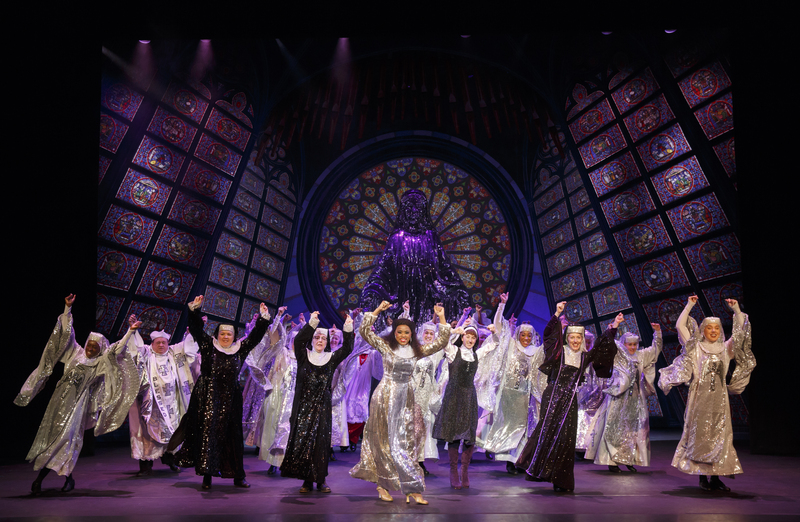 They have turned what can be a trying period into a successful happy life passage.